brightness and durability requirements all depend on the project or activity. Many flashlights have multiple uses, saving you time, space, and money. An extremely versatile flashlight is the handheld Knucklehead Worklight, with its lightweight design and an articulating head that can rotate a full 360°. The uses for this flashlight are only limited by your imagination. It is perfect for home building projects since it can light hard-to-reach places and can be easily moved around and repositioned. Use it around the house when the power goes out during a storm – since it is water resistant, you can take it out in the rain or use it to find a hidden leak. Never be caught off guard with the portable Streamlight Nano Light. This tiny, durable and weatherproof light is perfect for people who are constantly on the go. Frequent travelers will benefit from its small but hefty build, a key ring that snaps easily onto a belt loop or keychain, and a 100,000 hour life LED light. Those who cannot see well in low light can comfortably carry this little flashlight for quick access to better sight. Find lost socks in the small space between the dryer and the wall, or read in bed without disturbing your partner or roommate. The Nano Light can go anywhere you go! Any project can benefit from a hands-free flashlight, giving you the opportunity to complete your work quickly and safely. Bring this Streamlight BuckMasters headlamp along every time you need both hands: when you work under the hood of your car, move household items into the attic, or fix a leaky sink. You can even take it on a nightly bike ride for added safety! Do you have a specific project you need a flashlight for? Leave us a comment and we’ll help you find the right one! Fluorescent lamps were once rarities inside people's homes. In recent years, however, they've become hugely popular choices for residential lighting as they offer the a number of valuable benefits. 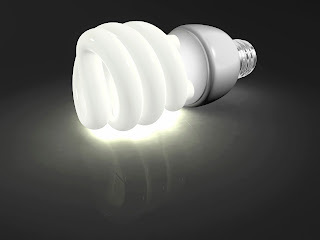 The typical fluorescent light bulb will last about six times longer than the typical incandescent bulb. Therefore, with fluorescent lights, you only need to buy one-sixth as many bulbs as you would with those old-fashioned lamps. In addition, fluorescent bulbs require about 66 percent less energy than their incandescent counterparts. Thus, when you switch from incandescent to fluorescent lamps, your annual household energy expenses significantly decrease. Afterall, lighting is responsible for approximately 25 percent of the average home's electricity consumption. Fluorescent lights emit much less heat than incandescent lights. That makes the fluorescent option safe for spaces containing pieces of equipment that are adversely affected by heat. These bulbs also help to keep homes from getting even hotter during periods of hot weather. A building with fluorescent lamps releases less greenhouse gas than a building that's lit by incandescent lamps. Further, when a town or city increases its level of fluorescent lighting, the local power plant doesn't need to supply as much energy. As a result, that plant will emit fewer pollutants. What's more, homes that rely on fluorescent lighting have many fewer light bulbs to throw away because fluorescent bulbs last for such a long time. And that's great news for a planet with ever-diminishing space for landfills. On top of that, you can recycle fluorescent bulbs to prevent the bulbs from leaching harmful mercury into landfills. Fluorescent lights can be used indoors and outdoors. They can illuminate large gathering spaces as well as the intimate nooks and corners of your home. And nowadays, you can buy dimmable and three-way fluorescent lamps. It might sound surprising, but fluorescent lights can actually help your houseplants to flourish. In particular, fluorescent bulbs that measure between 4,000 and 6,000 Kelvin are ideal. Such bulbs provide the entire color spectrum, and that kind of light stimulates botanical development — especially in plants that thrive in medium to low levels of light. Indeed, with such lighting, you might even be able to cultivate a small vegetable garden inside your home.